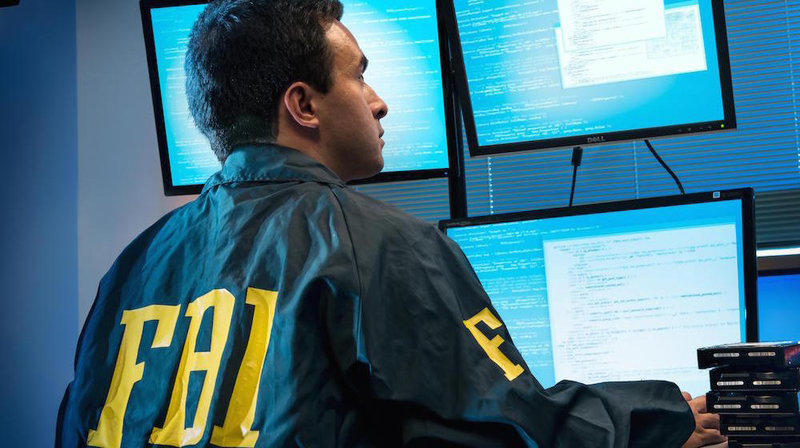 FBI Warns of Hackers Using Remote Desktop Protocol, Is Your Business at Risk? Hackers’ ability to exploit almost any vulnerability poses one of the biggest challenges to law enforcement — and to small businesses. The Federal Bureau of Investigation recently issued a warning to businesses and others about a new threat. Hackers have begun exploiting Remote Desktop Protocol to carry out malicious activities with greater frequency. According to the FBI, use of Remote Desktop Protocol as an attack vector has increased since mid to late 2016. The rise in Remote Desktop Protocol attacks has in part been driven by dark markets selling Remote Desktop Protocol access. These bad actors have found ways in which to identify and exploit vulnerable Remote Desktop Protocol sessions over the Internet. For small businesses who use Remote Desktop Protocol to control their home or office computers remotely, more vigilance is required including implementing strong passwords and changing them regularly. Designed for remote access and management, Remote Desktop Protocol is a Microsoft method for simplifying application data transfer between client users, devices, virtual desktops and an Remote Desktop Protocol terminal server. Simply put, Remote Desktop Protocol lets you control your computer remotely to manage your resources and access data. This feature is important for small businesses that don’t use cloud computing and rely on their computers or servers installed on premises. This is not the first time Remote Desktop Protocol has presented security issues. In the past, early versions had vulnerabilities which made them susceptible to a man-in-the-middle attack. This gave attackers unauthorized access. Between 2002 and 2017 Microsoft has issued updates which fixed 24 major vulnerabilities related to Remote Desktop Protocol. The new version is more secure, but the FBI announcement points out hackers are still using it as a vector for attacks. The FBI has identified several vulnerabilities — but they all start with weak passwords. The agency says if you use dictionary words and you don’t include a combination of uppercase andlowercase letters, numbers, and special characters, your password is vulnerable to brute-force and dictionary attacks. Outdated Remote Desktop Protocol using Credential Security Support Provider protocol (CredSSP) also present vulnerabilities. The CredSSP is an application which delegates the user’s credentials from the client to the target server for remote authentication. An outdated Remote Desktop Protocol makes it possible to potentially launch man-in-the-middle attacks. Other vulnerabilities include allowing unrestricted access to the default Remote Desktop Protocol port (TCP 3389) and allowing unlimited login attempts. CryptON Ransomware: CryptON ransomware utilizes brute-force attacks to gain access to RDP sessions, then allows a threat actor to manually execute malicious programs on the compromised machine. Cyber actors typically request Bitcoin in exchange for decryption directions. Samsam Ransomware: Samsam ransomware uses a wide range of exploits, including ones attacking RDP-enabled machines, to perform brute-force attacks. In July 2018, Samsam threat actors used a brute-force attack on RDP login credentials to infiltrate a healthcare company. The ransomware was able to encrypt thousands of machines before detection. Remote Desktop Protocol Hacking: How Can You Protect Yourself? It is important to remember any time you try to access something remotely there is a risk. And because Remote Desktop Protocol fully controls a system, you should regulate, monitor and manage who has access closely. By implementing the following best practices, the FBI and U.S. Department of Homeland Security say you have a better chance against Remote Desktop Protocol-based attacks. Have a reliable backup strategy with a strong recovery system. Enable logging and ensure logging mechanisms capture Remote Desktop Protocol logins. Keep the logs for a minimum of 90 days. At the same time, review the logins to ensure only those with access are using them. You can take a look at the rest of the recommendations here. Headlines of data breaches are in the news regularly, and it is happening to large organizations with seemingly unlimited resources. While it may seem impossible to protect your small business from all of the cyber threats out there, you can minimize your risk and liability if you have the right protocols in place with strict governance from all parties.